You can save videos delivered through HLS (HTTP Live Streaming) in mp4 format. Currently, distribution of this extension has been suspended. This is because some of the features of this extension are still pending review by the Chrome Web Store. However, there is a possibility that this situation may be prolonged, as it is not clear what exactly is the problem. We consider that there are no problems with this extension's functionality as long as you use it properly. As a simple example, this extension uses hls.js internally, and supports HLS-Encryption by its function. 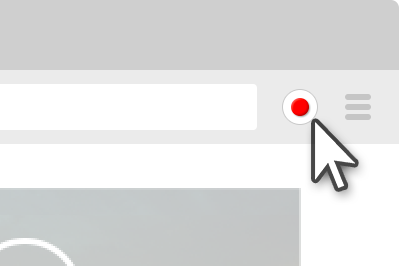 This is the fundamental technology for video playback on a browser and does not violate Anti-circumvention of the DMCA as it is not DRM-based content protection. However, our understanding has nothing to do with how the Chrome web store decides. And that's the same for all the features of this extension. Depending on the future situation, some functions may be removed or the extension itself may be taken down. With the Stream Recorder, you can easily save live and archived videos that are delivered in a typical HLS format. Even more, if the video file type is in an mp4 format, you can record videos directly using the unique video capture function. Downloaded audio and video data is converted to mp4 as it is with the same quality without re-encoding. This conversion is done inside the extension, without the use of an external server. Please note that Stream Recorder is not responsible for media content which you download, so we suggest to ensure the copyright and permissions of the media before downloading. 1. Play the video on the website hosting the video. 2-A. Click the action button if it appears activated. 2-B. If the button does not appear to be activated, try using the capture mode. Depending on the site, the stream may not be detected because it may be lacking an index file. 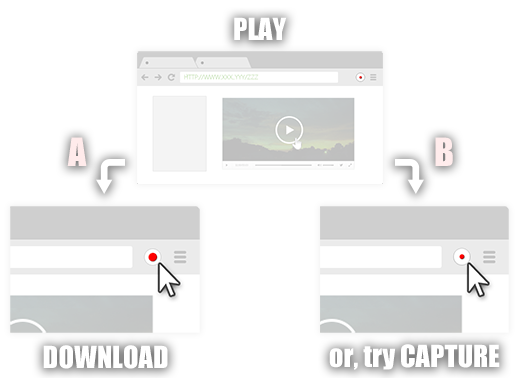 In such cases, you can still download the video with the capture mode by clicking the action button. Please use the latest version of Google Chrome for the best experience. This extension is not available for Firefox / Edge at this time as it consumes as much memory as the file size. We are waiting for this problem on the browser side to be resolved.